How Long Does It Takes To Recover After A Swim And When To Train Again? 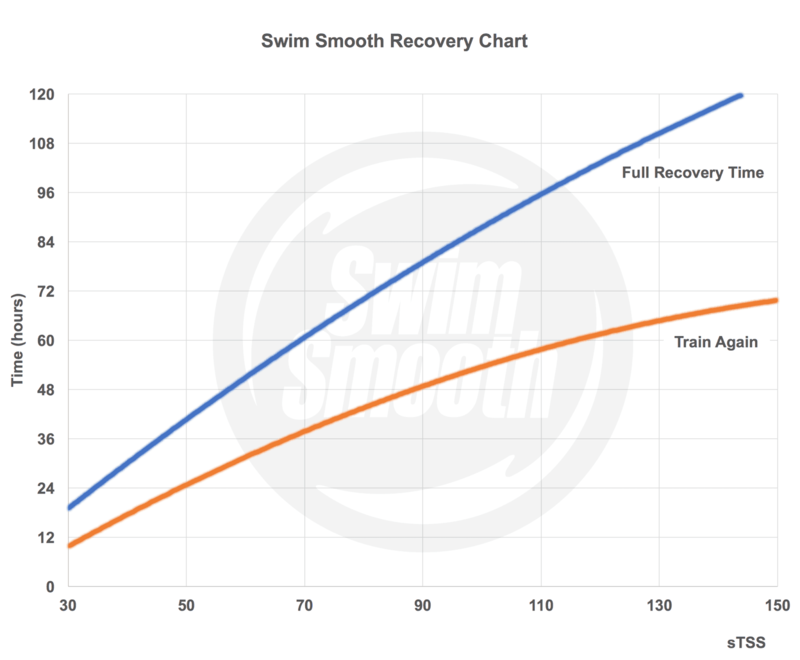 How Long It Takes To Recover After A Swim And When To Train Again? 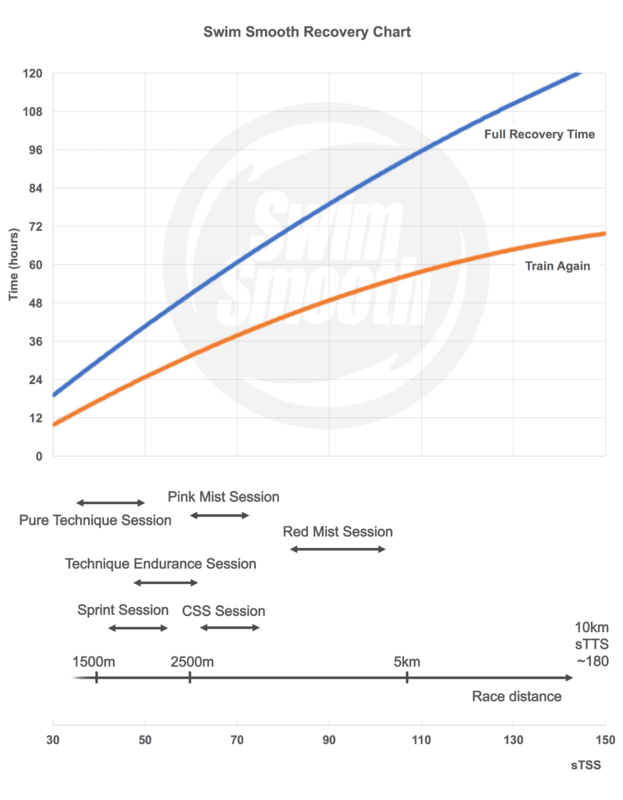 One question we are frequently asked by swimmers is how long does it take to recover from a swim session and when should you train again? The first thing to appreciate is that you normally don't want to recover completely from a training session before training again - that would leave too long a gap between sessions and your overall training volume would end up being too low. Instead you will train again with a small amount of residual fatigue from your previous session or two. Before we get into the actually recovery periods, let's introduce something called sTSS (Swimming Training Stress Score). This sounds complicated but it isn't really - it's a single number we can give to any training session or race that tells us how hard it was and how long it will take to recover from it. The higher the number the longer the recovery afterwards. To give you an idea, a sTSS of 40 is an easy session which you would recover from very quickly. 70-80 is a tough swim requiring more recovery. An sTSS of 100+ is a big session that will give you significant fatigue for a few days. TSS numbers initially become popular with the invention of cycling power meters but they can also be calculated for running, and now in the Guru, for swimming too. TSS numbers are lower in swimming than in cycling and running, and recovery tends to be correspondingly quicker. 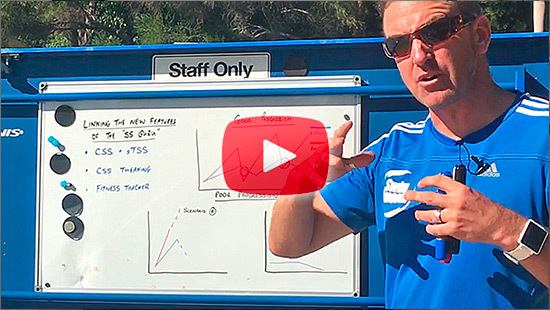 A big thanks to Andrew Coggan and Hunter Allen for creating the TSS system originally at Training Peaks*. 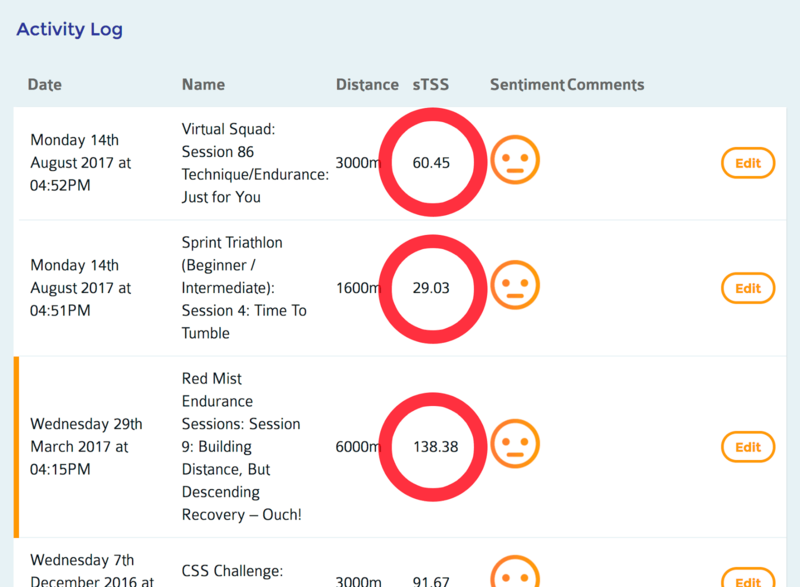 So what sort of sTSS numbers do we get for different training sessions and what does that translate to for your recovery and training frequency? As mentioned above, notice how the time before training again is always less than the full recovery time. Use the recovery chart to decide how much rest to take between sessions are when to train again. Note, if you are very swim fit you may recovery slightly quicker than these numbers and be able to train again slightly sooner. But if you are really into your numbers and analysis you don't have to stop there, we can use the sTSS numbers from your training sessions to run a full fitness model - showing how your fitness is developing over time and how tired you might be on any given day. 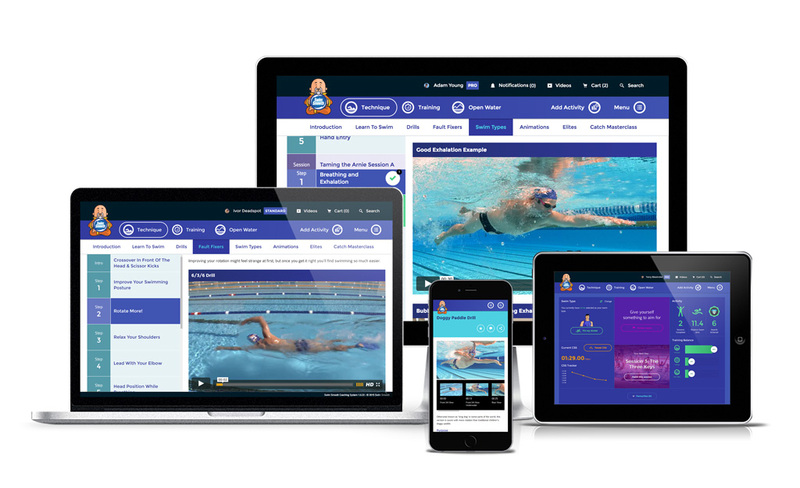 The Guru is our intelligent coaching system to improve all aspects of your swimming from stroke correction to training plans to open water and racing skills. The Fitness Tracker is just one of many powerful features within the training area of the system. 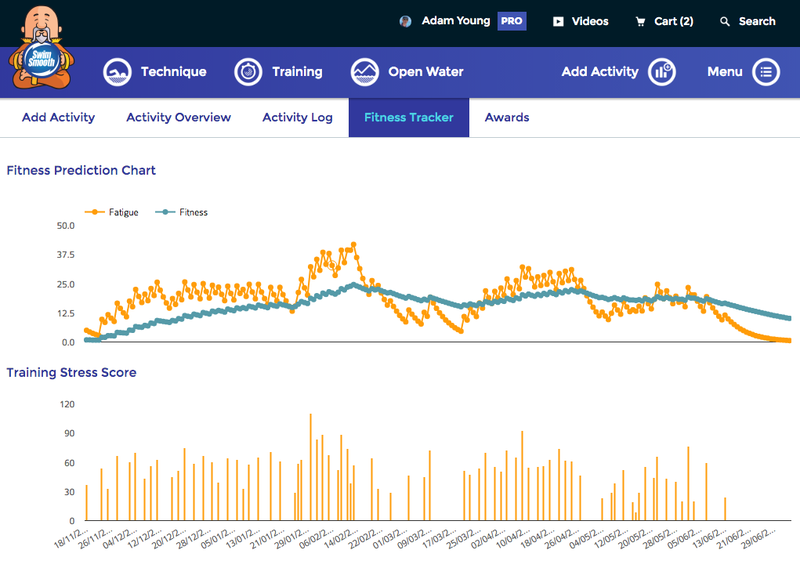 * Of course if you are a triathlete using Training Peaks user you can enter Guru sTSS figures straight into Training Peaks to assess your overall training load. 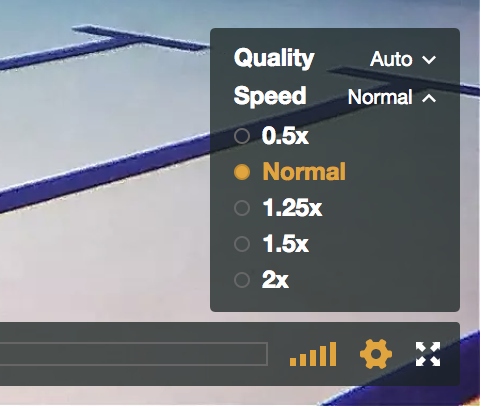 Full integration coming soon.